Электронная библиотека "Флора и фауна"
Алексей Шипунов - биолог широкого профиля, в первую очередь - ботаник и педагог, но одновременно крупный специалист по макросистематике всех живых организмов, по биологическим приложениям математики, по разработке компьютерных программ для биологов и по другим аспектам общей биологии. Для посетителей нашего сайта он известен как основатель уникальной электронной библиотеки свободного доступа, где хранятся многие десятки полных копий книг по колеоптерологии, энтомологии и общей зоологии. Вместо рассказа о многогранной научной и преподавательской деятельности Алексея я ограничусь отрывками из его английского CURRICULUM VITAE. 2008. Marine Biological Laboratory, Woods Hole, Massachusetts, U.S., Associate Researcher with EOL (Encyclopedia of Life). 2006--2008. Idaho State University, Moscow, Idaho, U.S., Associate researcher. 2003--2006. Institute of Information Technologies, Lecturer. 2002--2003. Royal Botanic Gardens, Kew, Associate researcher. 1997--2002. Corporation `Small School', Lecturer. 1992--2006. Moscow South-West High School, Lecturer, Specialist. 1995--1998 (graduate). The department of higher plants of Moscow State University. 1992--1995. 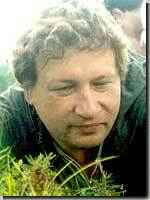 All-Russian Preparation Courses (VZPK), Chief of the biology department. 1990--1992. Moscow technical college No. 155, Lecturer in botany. 1989--1994. Cooperative `Prepare to Higher School', Lecturer in biology. 1982--1990. Undergraduate student, Department of Higher Plants, Moscow State University (special training in plant taxonomy). Taxonomy databases and other taxonomic Internet resources. Participating in "Encyclopedia of Life" project with the goal to construct unified database for all names of organisms ("Union"). 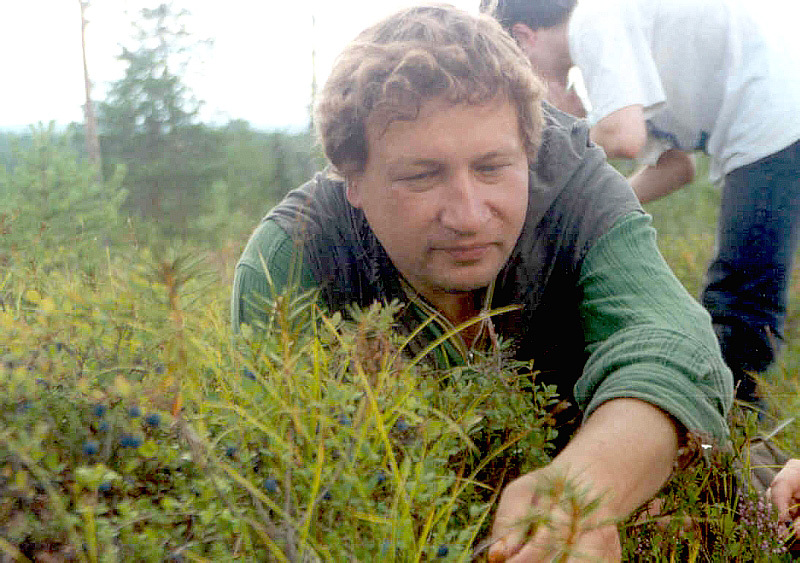 Internet projects on leading Russian botanical "Herba" web-site (http://herba.msu.ru): "Herbarium on-line", "Living plants pictures", "Materials of A. Shipunov", "Materials of the White Sea expedition", "Russian botanical Forum". Constructed the Interactive Web-keys for description of diverse aquatic plants and plantains. Prepared new numeric methods for analysis of stability in classifications. Several ideas about metacharacters and cladogram/hierarchy controversies (e.g., paraphyly) are employing in current research. Textbook for contemporary methods in systematics is published. Diversity of living organisms, theory of taxonomy. Suggested the original classification of living organisms, based on combined data from many researches (Internet-resource). Textbook is prepared (see below). Taxonomy of anamorphic fungi (especially of order Pleosporales) is studied; numerous new fungal lineages of anamorphic ascomycetes are already discovered via molecular methods, and more than 100 sequences are submitted to GenBank. 1985--Present. Teaching biology and preparing textbooks in All-Russian Multi-Subjects School (VZMSh). 1989--1992. Teaching biology in cooperative "Prepare to Higher School". 1989--1994. Teaching biology in All-Russian Preparation Courses (VZPK). 1990--1992. Teaching botany in Moscow technical college N 155. 1992--1995. Management of All-Russian preparation courses. 1994--2005. Organization of White Sea Expeditions of South-West High School. -- 1998--2002. "Mathematical methods in plant systematics"
-- 2000--2001. "Contemporary methods in flowering plants systematics"
Databasing: MySQL, PostgreSQL, SQLite, MS Access, GRASS. Shipunov A. B. Theory of systematics. M., Moscow University Press, 2000. 56 p. [in Russian]. Shipunov A. B. The system of living organisms. M., Moscow University Press, 2001. 106 p. [in Russian]. Shipunov A.B. Systema Naturae, or the outline of living world classification // Protistology. 2009. 6 (1), in press. Patterson D. J., Faulwetter S., Shipunov A. Principles for a names-based cyberinfrastructure to serve all of biology // Zootaxa. 2008. 1950: 153-163. Volkova P. A., Shipunov A. B. Statistical processing of data in education and research. Moscow, Ecopress, 2008. 60 p. [In Russian]. Shipunov A. B. Systema Naturae: three hundred years after // What's new in science and technics? 2007. N. 11 (55). P. 88-93. [In Russian]. A.B. Shipunov. Systema Naturae: 250 years after. The fate of Linnean kingdoms concept // Materials of the conference of plant morphology and systematics dedicated to the 300-years Linnaeus jubilee. M.: KMK Press, 2007. P. 31-33. [In Russian]. Volkova P. A., Kumskova E. M., Shipunov A. B. What shows biological clock? // Svirel. 2003. N. 1. P. 12--13. Последнее обновление: 27 октября 2009 г.